“Stroll around in your local area, and sketch up at least three different perspective drawings. These are suppose to be line drawings, and please make sure of the height of your eyes. How did you experience the assignment? draw a house, even if it was a matter of life and death 😦 Anyways. I tried. First drawing – dentist office. While anxiously waiting for a friend of mine, I had some time to kill, and a sketch book in my bag. I was sitting directly facing the door. Might look as though the floor is a bit steep, so I probably should have made the lines going up to the VP (vanishing point) a bit wider. 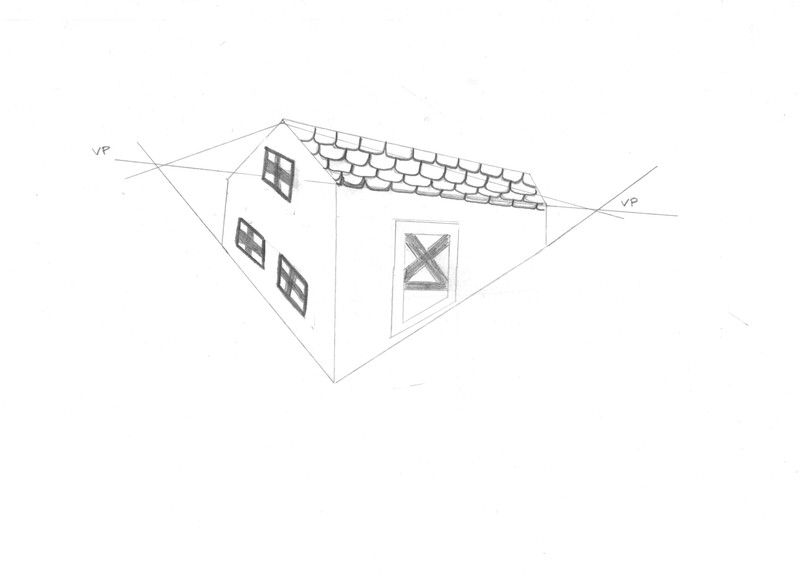 This is a one-point perspective drawing. Second drawing – an old barn. It looks pretty awful, but after several attempts, I picked out this one, as one looked worse than the other. I was struggling with all the two-points perspective drawings, but at least I gave it a fair try. At least it was fun doing, so I’ll have no problems practicing this on my spare time. 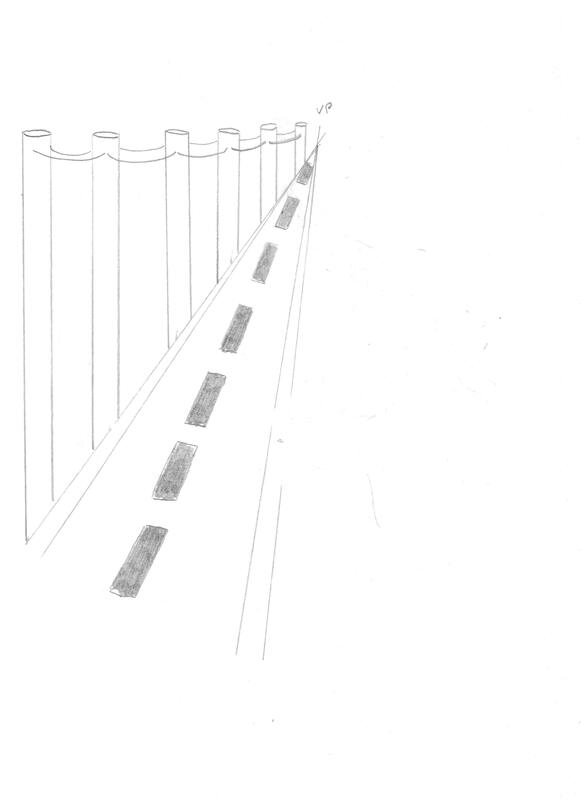 Third drawing – random road. Suppose this could be anywhere in Norway, however, it’s not too far away from my house. Once again, this is a one point perspective drawing. Looking at it now, I should have made the road a bit more flat, as it looks as though I’m standing above the road, while sketching it. It should have been flattened, and the power poles should have been placed with a bit more of a distance between them. Suppose I was in a bit of a hurry, as the rain came lashing down (as it always does here on the West coast). The assignment was grand and all (pardon my Irish slang), but hard. Looking back, I should have focused more on the realistic proportions in each drawing. One point perspective is easier than two point. I did an attempt doing an isometric drawing along with a three points sketch as well, but don’t think I did it correctly. And therefore, I’m not putting it up here. Each drawing has been sketched up by putting down the VP’s first. The crossing lines works as help lines, and makes the vision of the drawing come together as a base. I have not attempted any shadowing or fancy techniques in this learning activity, as I felt as though it was a bit too hard to get a hang of. Sketching straight lines, and perspective does not come naturally to me, so I need more practice before I can focus on a more advanced perspective drawing. I’m off to do some painting for my color mixing task. This entry was posted in Learning activities, Week 4 - Sketch Technique and Color. Bookmark the permalink.